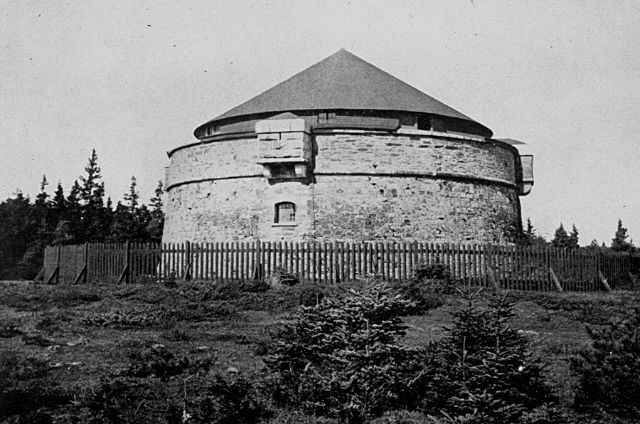 To fully understand the ecology of Point Pleasant Park, and to get a more complete view of its present state and the health of its forest and its trees, it is helpful to understand both its natural history and its history of human occupation and management. The 'Butterfly Map', with a sketch of the British or European cerambycid, the long-horned 'Musk Beetle' (Aromia moshata?) is attributed to naturalist, entomologist, surveyor and artist Moses Harris. It was published in London, U.K., in the Gentleman's Magazine Vol. 20, July 1750, p. 295, as "Halifax Town & Harbour, A Plan of the Harbour of Chebucto and Town of Halifax". It is not known which of our native long-horned beetles the Musk Beetle so closely resembled. The first and foremost influence on its soils is the underlying rock - a Meguma group of the Halifax Formation of slates, schist, and migmatite that were metamorphosed from sedimentary rocks in the Ordovician period about 450 million years ago. Point Pleasant rocks are predominantly slate with a high pyrite content. This makes its associated soils extremely acidic. Exposed bedrocks of quartzite acidify the soil as well. 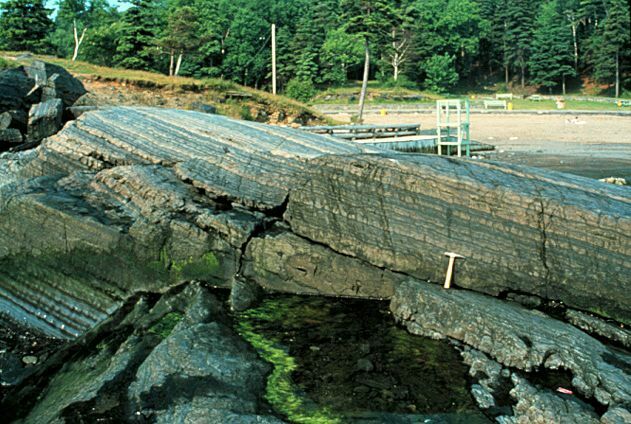 The last glaciation in Nova Scotia ended about 10,000 years ago. 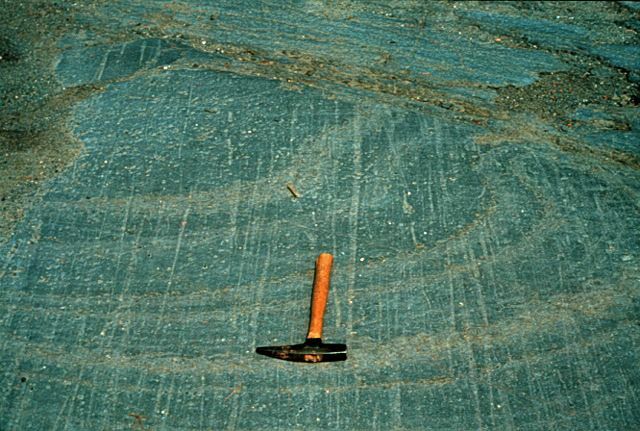 The ice movement in the Halifax area scoured off the previous soils, revealing the bare slates and quartzites below, leaving only small pockets of glacial till. Coincidentally, it takes approximately 10,000 years to produce one inch of topsoil! First, lichens, then small plants, using rain-dissolved minerals, slowly built up a thin scurf of soil from previous generations of plants dying back and from wind-carried particles. For 10,000 years, successions of small plants, shrubs, and then trees produced a fairly thick, but relatively low, forest cover on a still very thin and poor acidic soil, known as the Halifax/Bridgewater Series. 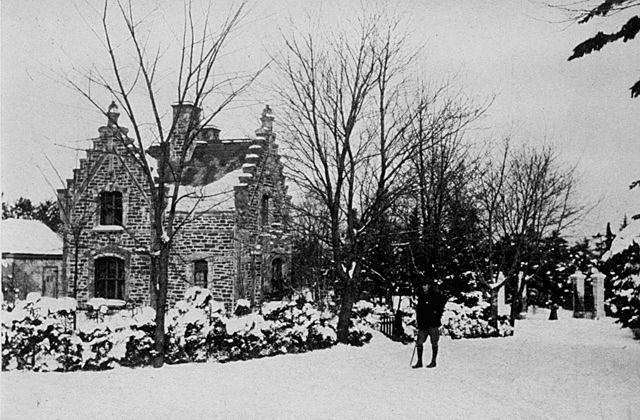 The next major influence on the Park's health was European settlement. In 1749, Edward Cornwallis weighed anchor offshore. He named the peninsula Point Pleasant; at that time it supported a relatively young, thick and healthy forest probably of spruces, pines, hemlock, white pine, fir, maple and other species typical of the Nova Scotian Acadian forests. While the Mi'k Maq used the area as a summer fishing camp, their technology, aside from fire,would have had little impact on the natural forest. 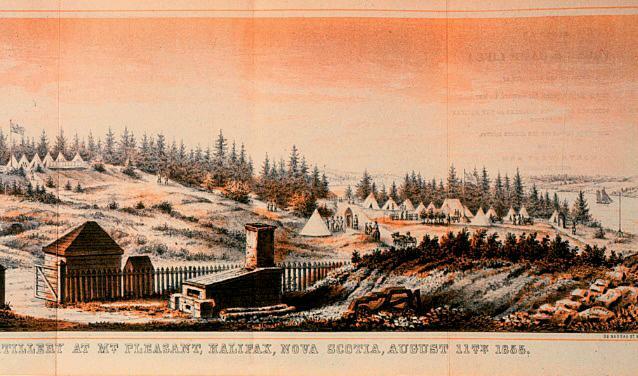 Cornwallis introduced to the Halifax peninsula 4,000 soldiers and settlers with an insatiable need for wood. They brought with them metal saws, metal axes, shovels, and pick-axes. They also introduced heather, other unknown flora, seeds, fauna, and most likely insects. Cornwallis had been charged by the British Government to create a settlement both military and civilian, but first he had to clear Point Pleasant of trees. He sent a letter back to Britain, stating, "...the land was terrible because of the extensive forest. As there was not one yard of clear ground, Your Grace will imagine our difficulty and what work we have to do." His first clear-cut was of 12 acres on the southern shore of the Park. But afterwards, because the trees were gone, the site was found to be too exposed to the wind and weather, and soon, too uncomfortable and cold. Also, the shallow, rocky shoals off the point (the 'hens and chickens') were inconvenient because they prevented close-in mooring of ships. 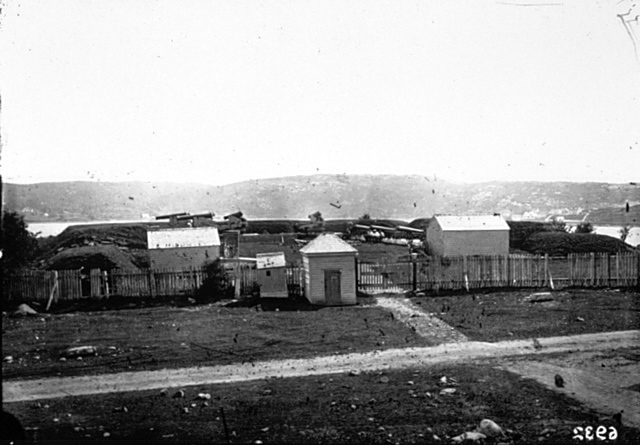 So the settlers, with some of the military, moved up-harbour to found Halifax at the base of Citadel Hill. The troops continued construction of fortifications in Point Pleasant. There were more clear-cuts (for cannon sightlines and ease of construction), and also extensive quarrying of stone both for roads and for each fortification. The first forts were of logs, earth, and stone, with wood-burning fireplaces. Later, furnaces were added for heating/smelting cannon shot; for these, hardwoods were needed for fuel because of the higher temperatures required. There were a total of seven fortifications constructed. Most were rebuilt four or five times over 200 years, with consequently more clear-cuts for each renovation, and more excavation of rock and stone for ditches, embankments, walls, and roads. There were massive earthwork trenches and embankments at some of the forts - such as Ogilvie - damaging trees and roots, and disturbing and redistributing the soil. A continuous wood supply was also required for cooking fires and for heating. The wood was supplied by the Point's forests, and the paths for gathering supplies and wood were made permanent by their continued use. The shore forts were subject to wind, wave, and storm erosion because the protective trees were gone. 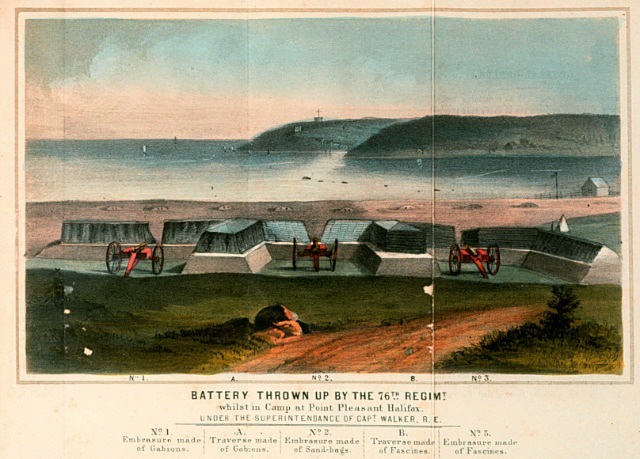 The 'Battery' fort for instance, just west of Point Pleasant, was damaged in 1895 and was falling into the sea. It was moved further along the Northwest Arm shore, with the consequent necessity for a large, new area clear-cut around it. 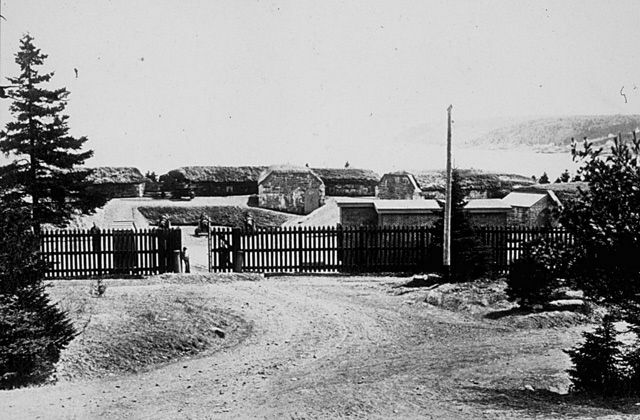 From 1749 until the early 1900s, Point Pleasant was subjected to continuous biomass extraction and major disturbance of trees,and their roots and soil - for forts, firewood, kindling, furnaces, gates, fencing, and lumber; and removal and displacement of rocks for forts, roads, gates, walls, and trenches. 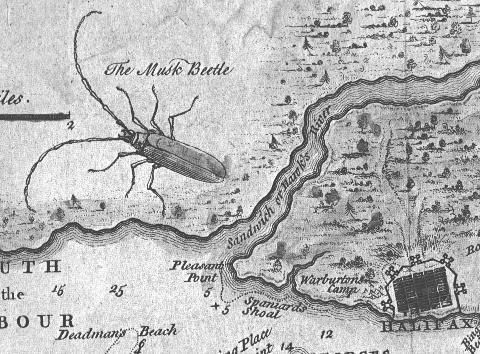 1749 - Cornwallis begins history of clear-cuts and major disturbance of soil/rocks in Point Pleasant Park. 1866 - Point Pleasant leased to a committee to manage the area - records show reference was made to problems with trees and the replacing of trees. 1870s - Trees and shrubs were imported from Scotland. 1884 - First underbrush sweep (slash and burn on shore) not for military reasons. 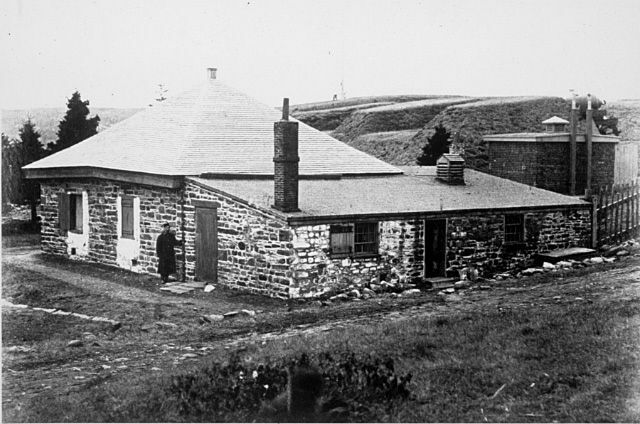 1886 - Gatekeeper's Lodge built, slates quarried in the Park. 1893 - Much thinning, pruning, and removing of dead trees recorded. 1894 - Importation of 4,000 Norway Spruce, 1,000 Scotch Fir or Pine, and 400 different hardwoods - 100 of loads wood given away and 8,000 loads of brush burned on the beach. 1916 - The introduced heather was transplanted and spread around the Park. 1924 - Military abandoned the Park temporarily. 1934 - 3,700 dead trees cut and removed from Park; 600 Douglas Fir planted around Cambridge area. 1938 - Military was back for World War II for two years - more cutting of dead and unhealthy trees in the 1940's - more problems with health of the trees was noticed; the roads were oiled in case the dust from them was causing harm; the oil seemed to compound the health problems of the forest. 1943 - More major excavation for sewer lines to Fort Ogilvie. 1945 - Fawns found in Park. 1951 - Bicycles banned on weekends/holidays. 1960s - Container pier built.